These ChewyBanana chips are is sun dried in over 50 villages in Uganda, by women's groups, co-operatives, and family groups. Tasty, versatile, great for lunches or just a mid-day snack. About the Producer: The solar driers have been especially designed by Adam Brett of Tropical Wholefoods to enable village people to earn good money from sun drying excess fruits and vegetables. Some people owning solar driers have bought their driers outright. Others have been helped with loans from aid agencies such as the European Development Fund Micro-Projects Scheme (EDF) and the Agency for Co-operation and Research in Development (ACORD). Tropical Wholefoods buy sun dried bananas at a fair price, guaranteeing prices and export markets as well as organising training and maintenance services to operators of solar driers, and where possible, helping people to get access to sources of soft finance and loans. The bananas are free from all preservatives and are extremely tasty having been dried almost immediately after harvesting. May contain traces of cereals, milk, nuts, sesame seeds, soya, sulphites, gluten, wheat and lactose. 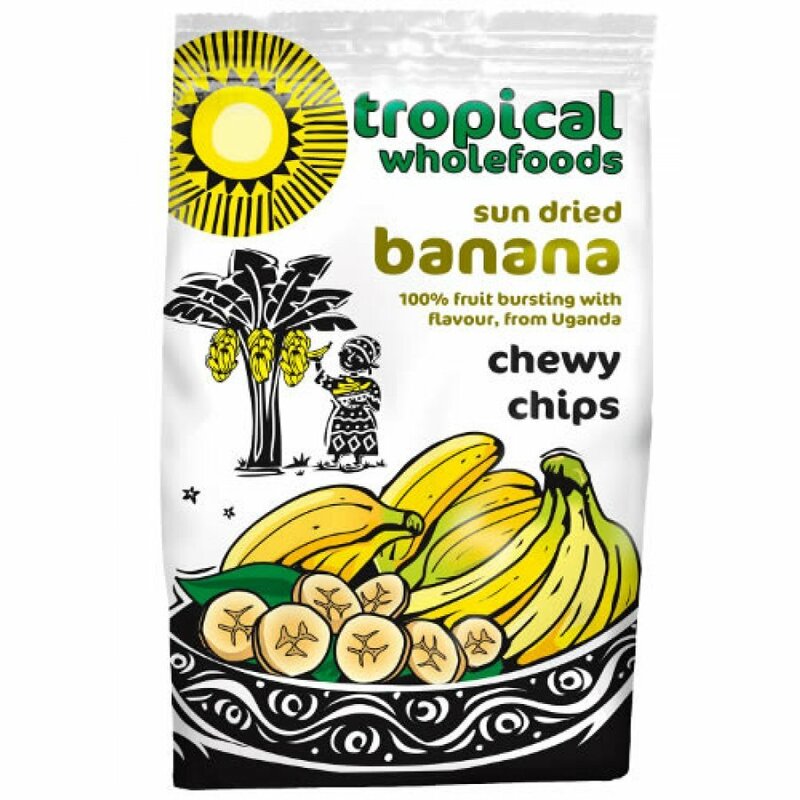 The Tropical Wholefoods - Chewy Banana Chips - 150g product ethics are indicated below. To learn more about these product ethics and to see related products, follow the links below. Love these all natural sun-dried banana chips(unlike some on the market), so versatile too! 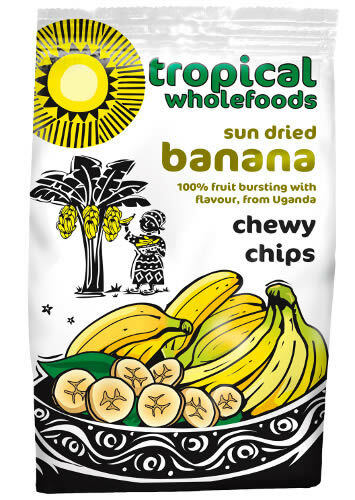 There are currently no questions to display about Tropical Wholefoods - Chewy Banana Chips - 150g. Tropical Wholefoods are based in a Soil Association certified factory, and aim to win lasting markets for farmers in developing countries. Working with ethical businesses, they pay fair prices in advance and develop and market farmers' products. Purchases of Tropical Wholefoods products help farmers to invest in their villages, schools, livestock and land. As well as working and trading with its partners, Tropical Wholefoods provides training and information to them; it currently operates programmes in quality assurance, solar drying technology and organic farming techniques. They have been hard at work for more than 15 years, and hope you enjoy the fruits of their labour.